hey i did this stuff for deepavali here romba nalla vanduthu, i did the them in the same method. 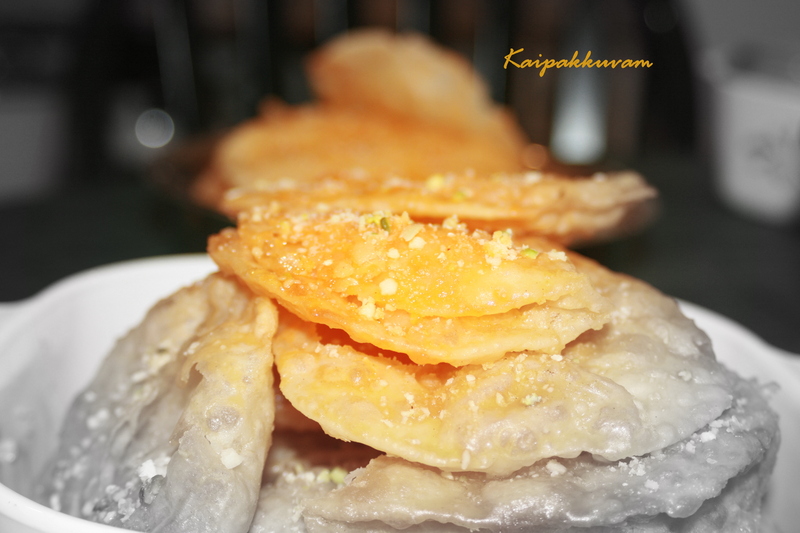 here in Karnataka we call it as ” Devaangiri” maine, no rolled like poori but its made like fluffy biscuits…. 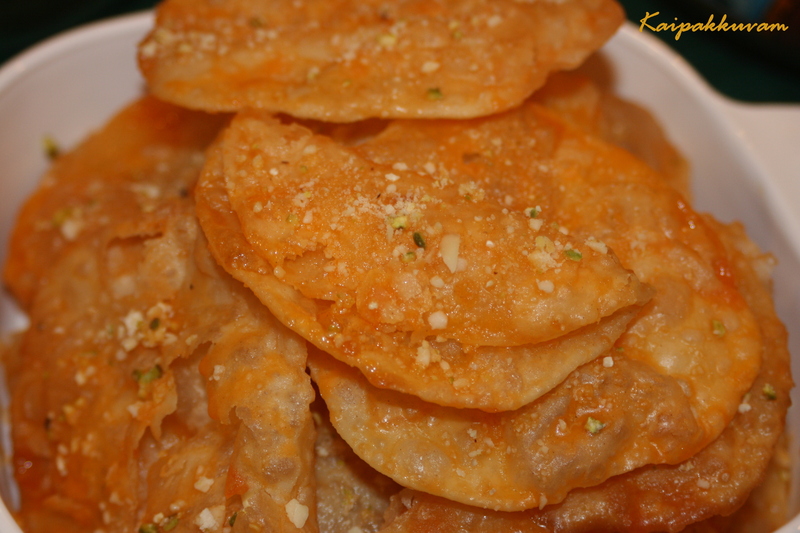 My MIL used to sprinkle powdered sugar on the hot puri and fold it. Yours will give a badusha effect. Ennavellamo panreenga! I see that you’ve been blogging for a while. You have a nice blog.. with such great clicks..
Do visit my blog sometime dear. I’m new to wordpress. Just started blogging. This sweet looks really cool. Will try this out sometime. Visit my blog subhojyam.wordpress.com sometime. Hey I am new to your blog and I should say this is terrific. I am following U …. Chanced upon your blog today,must say ,awesome job.I specifiaclly like the way you celebrate all festivals with such enthusiasm inspite of being thousands of miles away from home. It looks so yummy. Beautiful pictures. Happy Diwali.